Tagball is a fun new game which is becoming a hot sport being played all over America. 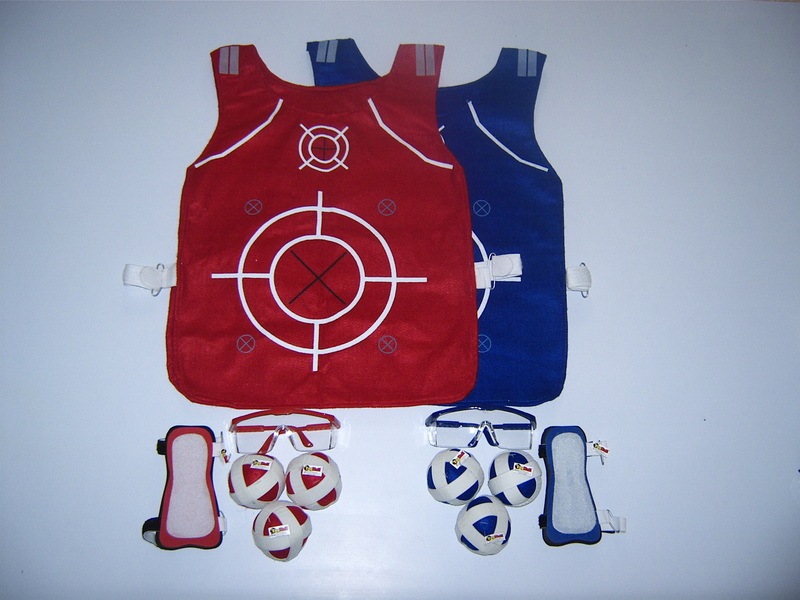 In TagBall, the players wear felt vests and the opposing players throw balls which stick to the vests. 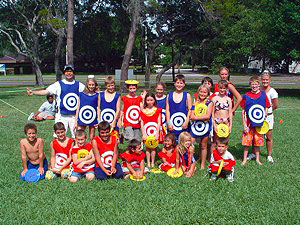 TagBall can be adapted to many of your favorite games, like: Capture the Flag, Dodge Ball, Flag Football and many more. Imagine a snowball fight, all year around! 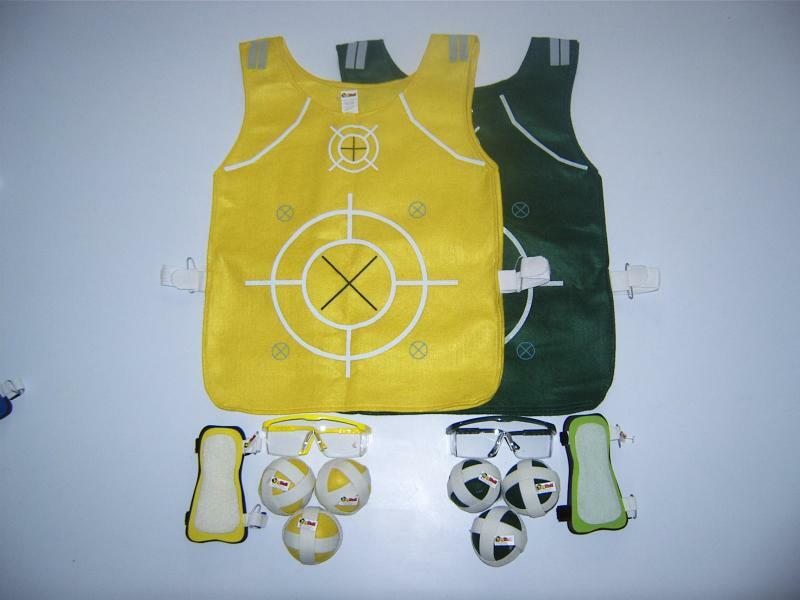 TagBall was invented to keep an individual active and fit, to assist with fighting obesity and help reduce negative social peer pressure exhibited in youth and adults. This is accomplished by introducing TagBall as an alternative to contact sports, such as football. Tagging the players with the Velcro ball instead of pulling a flag can quickly become the revolution of playing the classic of touch football with validity. be involved in activities that can lead them into trouble, and for adults who are looking for a unique way to have positive interactions with youth or other adults. In addition, TagBall boost confidence in youth who want to play sports but are not on a school team and it's a great way for youth Mentors to interact with their Mentee. TagBall offers community organizations, boy's and girl's clubs and recreational centers unique on-site or virtual workshops that can be customized to meet program needs. Our educational based family fun nights, TagBall Leagues and Fundraising Tournaments are unique inclusions to any existing community program. Professional development is yet another aspect of empowerment TagBall Division offers to organizations. The TagBall team of trainers use language organization staff and on-site professionals understand so they can teach the families they service on a variety of things such as how to have positive communication with others, get involved as a parent or guardian of children and how to incorporate healthy lifestyles into households regardless of household income. Adding TagBall to any curriculum adds to the collective effort it takes to provide safe environments for people to learn and heal from the inside out. In our experience, many places of worship have age-appropriate programs with curriculum's that teach identifying emotions and feelings, positive communication, critical thinking and problem solving skills as well as having a peaceful attitude living in such a diverse world. Our TagBall inclusion, whether it is including our on-site or virtual workshops, or simply by putting together a fun day of health awareness and positive competitive games of TagBall, we can help enhance faith-based activities. In TagBall's Diversity Team-Building training sessions, we not only concentrate on how one sees and perceives others but on the emotional, social and physical development one makes in life. We even incorporate nutrition and fitness and the importance of corporate involvement and methods to support any team-building curriculum.